Since the start of MelaninASS in 2016, we have seen the emergence of so many modern-centric sustainable fashion and non-toxic beauty platforms for and by Black women and WOC. We were super excited to connect with Dr. Kristian who is the founder of BLK+GRN - an all natural market place by black artisans. 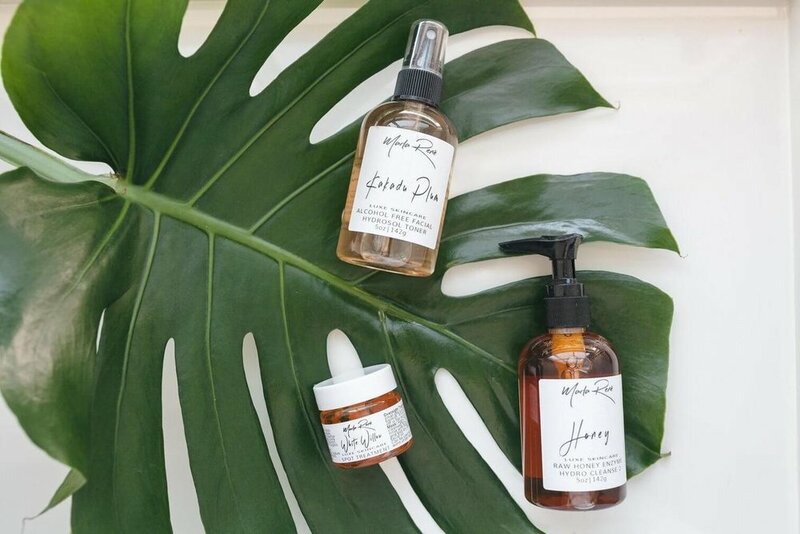 We are elated to see an increase in the awareness of toxicity in the mainstream beauty industry and also push for supporting local indie makers. When and why did you start BLK + GRN? What inspired the name? How do you define community and how did you work to build community with your brand? I define community as cultivating our own. As Black people we're like plants, we soak up the sun, yet blossom even in the shade. We flourish with or without space. Our soil is rooted in something unshakeable. Our leaves spread like seeds. Each sprout tells the story of a better way to be. This mindset helps us to build community within BLK+GRN because we recognize that we need each other. We need our customers and our artisans. The well being of the BLK+GRN community is my well being and vice versa. With you being a public health professor - how do you draw a parallel between public health, wellness and beauty? The parallel is in the ingredients. Most mainstream beauty products contain toxic ingredients that often go undetected by customers. Black women especially are using these products on their bodies every day without being aware of the damaging effects that they have on our health. 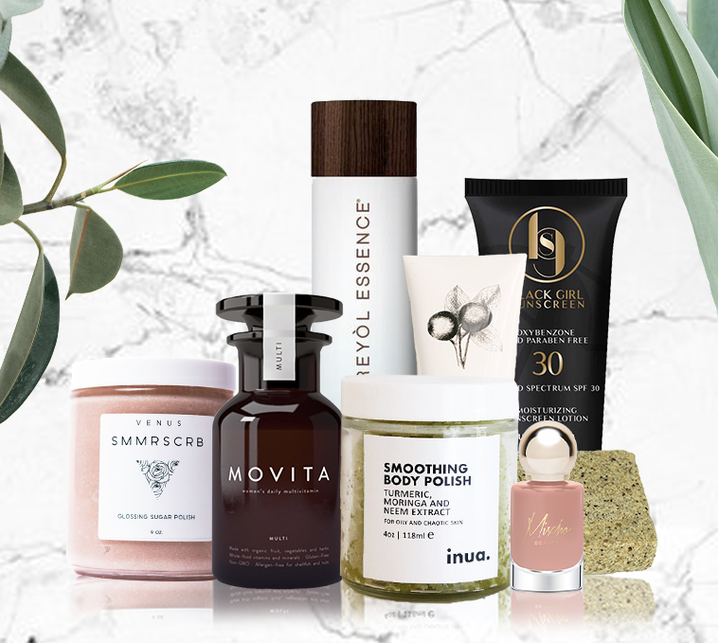 Parabens (toxins) like PROPYL-, ISOPROPYL-, BUTYL-, AND ISOBUTYL-, found in beauty products have been discovered to encourage the growth of certain types of breast cancer cells even in the smallest amounts. If we aren’t aware of what goes on and into our bodies we’ll continue to attract sicknesses that could have been avoided. 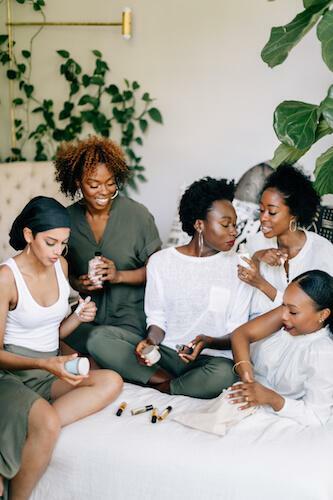 It’s SUPER important that we as Black women care for our bodies from the inside out to live healthier, happier lives starting with the beauty products that we use every day. What do you think are a Black women's super powers? Communally, what may be our short comings? A Black women's superpowers would be our ability to shine and thrive despite the social structures that are set up against us. Communally our shortcoming would be our failure to challenge ourselves to support each other, our health and wealth outside of our comfort. Going out of our way for our wellness and the greater good, even if that way isn't the most convenient or cheapest way to go. How do you see the future of the Black beauty/wellness space? I see the future of the Black beauty/wellness space as becoming more than selling products. I see safe spaces being created where Black women can normalize self-care. I also feel Black entrepreneurs will benefit because of this. There are thousands of black women who run amazing businesses that you’ve never heard of. I see Black beauty/wellness brands working together as a movement to change that. At BLK+GRN our role in this shift would be through our marketplace, our events, podcast (stay tuned) and producing mindful content. We look forward to helping more Black women on their journey to happiness through wellness.